In this week’s flight deck we bring you all the headlines from simulated space including the latest news from Dual Universe’s latest press coverage, Elite: Dangerous’s Squad Goals and Star Citizen’s latest… err… acquisition. Next, we’ll get the news from the deep black with Spencer McDunn on Galactic Public Radio. Then Commander KineticImpulser gives you some advice about getting around the neighborhood in Nuggets for Nuggets. After that we continue our audio adventure, Guard Frequency Origins, as our pilots finally figured out how to open a truck door. Finally, we open up the feedback loop and let you join in on the fun. 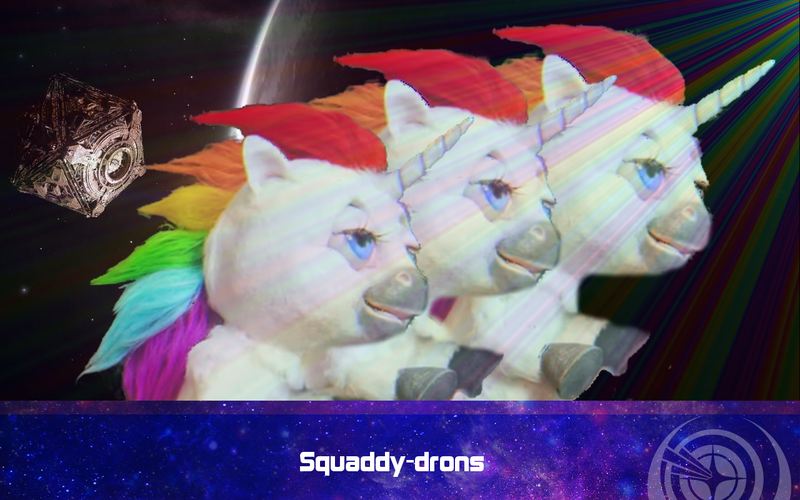 What do you think about the scope of the Squadrons update? Glorified social network or useful playtime management tool? Is that ship actually in the game though? Is it even in the near future from what we know? The Squadron update sounds like a good step forward. Community question: Honestly I don’t think squadrons will make as big of a difference as Frontier are selling it to be, I remember the Wing video they released and how it felt nothing like it, 3.0 seems to be the big change and it felt like little changed, that said I am looking forward my group actually having a squadron, it might push me into open rather than staying in private. Buying a store extra that allows you to show squad colours on my ship would make it more worth while as long as I can buy just one package for all ships. Congrats on making it to elections, did try to stop you from doing so well but seems a few of my friends offset any damage I could do, then I got distracted after I found a painite area in a not so local mining area, 30 Mil later I find you guys everywhere like rats! Plenty of ships to squash now I guess. Doubt he remembers why but you can blame Lennon for that. LTI for everyone! You’d think people would’ve stopped complaining about LTI now since we could be focusing on what we wanna see in 3.2, won’t ramble on about it since Twerk17 done a decent rant on it, CAN’T WAIT FOR FPS AI!